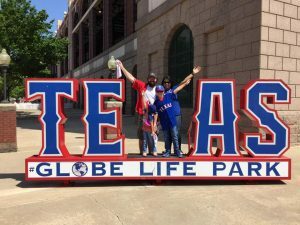 After spending all week on the road making wishes come true in Nashville, Memphis, Arlington & Dallas, my dad made his way to San Antonio for the first time ever! 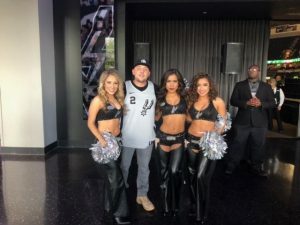 Usually it’s us hosting the warriors at their “first ever game.” But today will be my dad’s first time to San Antonio & our first ever Spurs game! 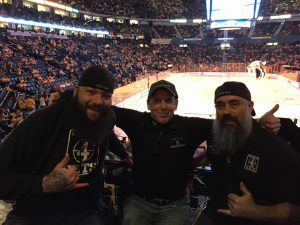 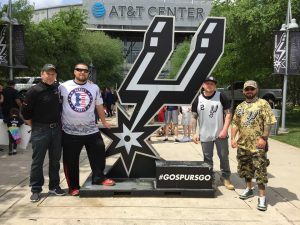 Operation Warrior Wishes teamed up with Army Veteran Mike Barker, who runs a local organization called Heroes Sports, to host Purple Heart recipients Army Sgt Tony Narain & Army Sgt Brandon Tennery at the Spurs game. 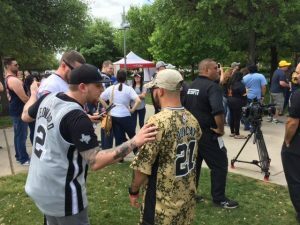 My dad met up with Mike, Tony & Brandon just outside the AT&T center before the game. 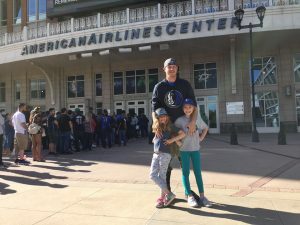 They had about an hour to get to know each other & walked around the stadium to take part in some pregame festivities including taking pictures with the cheerleaders & taking part in the ESPN opening for their Easter Sunday telecast. 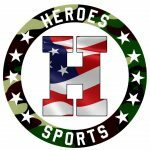 They filmed the group as they made their way into the stadium. 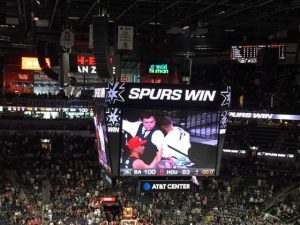 Everyone enjoyed watching the Spurs dominate the Houston Rockets as they rolled to a much needed win 100-83. 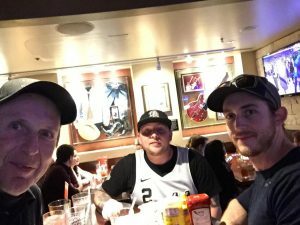 After the game, Hard Rock Cafe San Antonio treated the warriors to a delicious dinner. 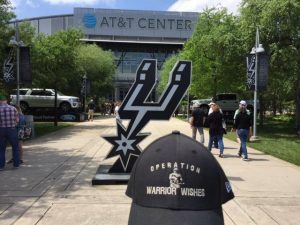 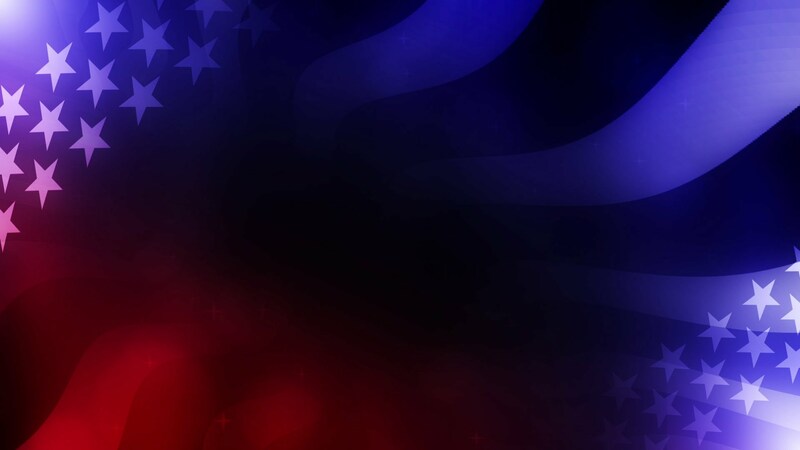 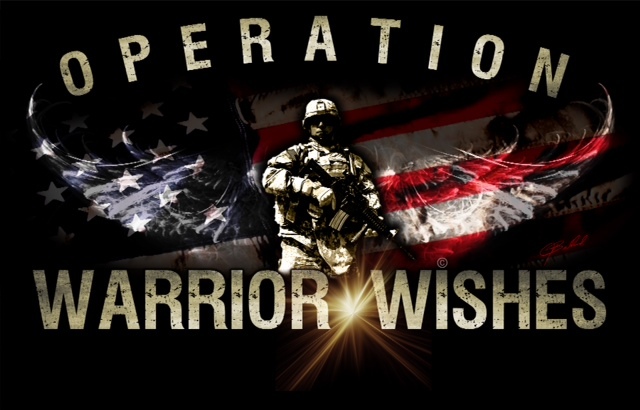 Operation Warrior Wishes would like to thank Mike at Heroes Sports for his nominations, Hard Rock Cafe for providing dinner & the San Antonio Spurs for providing discounted tickets for the warriors! 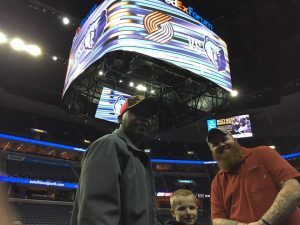 My dad would also like to personally thank Spurs fan, Michael Espino, for donating his extra ticket to my dad so he could go into game and hang out with the guys. 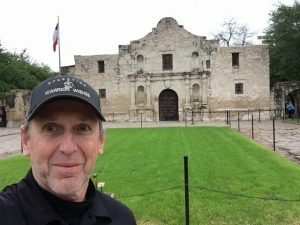 After the mission was accomplished, my dad decided to skip spending money on a hotel & hopped on a bus to the airport where he got a couple of hours of sleep. 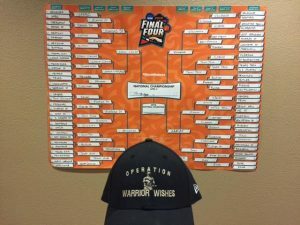 He will be back in action tomorrow to make Warrior Wishes come true at the NCAA Men’s Final Four Championship game!